Bouterse is among roughly 550 undergraduate and graduate students from a nationwide pool of applicants who were selected to receive scholarships to study Arabic, Azerbaijani, Bangla, Chinese, Hindi, Korean, Indonesian, Japanese, Persian, Punjabi, Russian, Turkish or Urdu. This summer, he and his fellow scholarship recipients will spend seven to 10 weeks in intensive language institutes in 13 countries where these languages are spoken. The CLS Program provides fully funded, group-based intensive language instruction and structured cultural enrichment experiences. 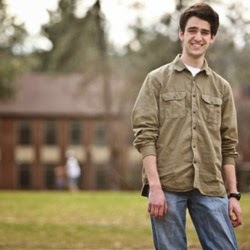 Bouterse first heard of the CLS Program last year when his roommate, Will Pollock, ’13, received the award to study Urdu. 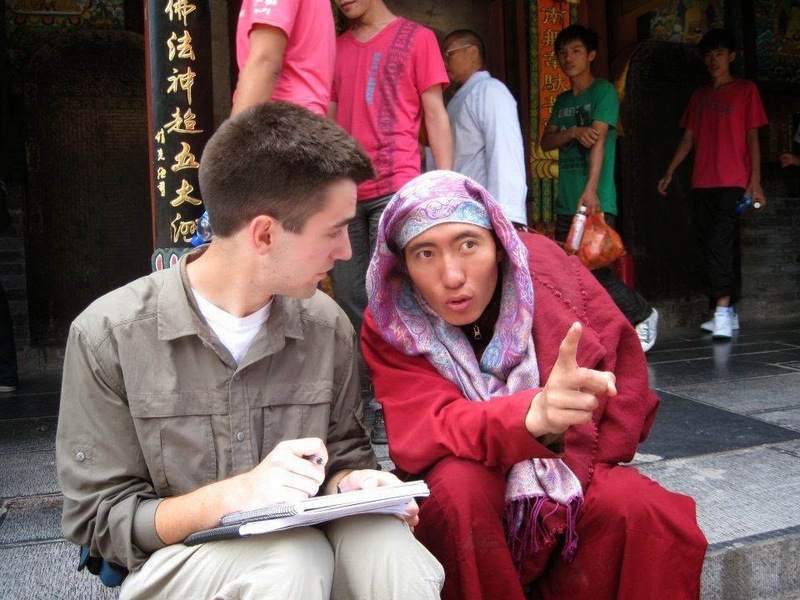 Bouterse says that his love of the Chinese language began in fall 2011, when he was studying in Beijing as part of Whitworth in China, a semester-long study program led by Whitworth Associate Professor of History Anthony Clark. “As a globally minded Christian, I see Chinese as being integral to engaging with the Chinese church, which in my mind is one of the most critical pieces in the worldwide advance of the gospel in my generation,” Bouterse says. He explains that he is eager to be able to dedicate all of his time to the language and become fluent. In addition to immersion in China’s language and culture, the CLS Program provides him with the opportunity to study alongside other American students from a variety of backgrounds and to explore the city and nature of Hangzhou. “If I can, I’d love to use the CLS Program as a springboard to continue living in China, perhaps working in a business-related capacity. Otherwise, I’ll continue to pursue a call to ministry,” Bouterse says. The CLS Program is part of a U.S. government effort to expand dramatically the number of Americans studying and mastering critical foreign languages. Selected finalists for the 2014 CLS Program hail from all 50 states, as well as Puerto Rico and the District of Columbia, and represent more than 200 institutions of higher education from across the country, including public and private universities, liberal arts colleges, minority-serving institutions and community colleges. During CLS Program outreach activities, particular attention is paid to states and regions of the U.S. that have been historically under-represented in the CLS applicant pool, and to students from diverse backgrounds and academic majors. The CLS Program also encourages diversity in the independent review process, and includes readers and panelists from land-grant public universities, liberal arts colleges, historically black colleges and universities, Hispanic-serving institutions, Ivy League institutions, and community colleges. In 2014, over 300 professionals, including critical language faculty, area studies specialists, international education professionals, and fellowship advisors, participated in the selection process for the Critical Language Scholarship Program. Readers and panelists represented 43 states and the District of Columbia and 183 institutions. CLS Program participants are among the more than 40,000 academic and professional exchange program participants supported annually by the U.S. Department of State’s Bureau of Educational and Cultural Affairs to promote mutual understanding and respect between the people of the United States and the people of other countries. The CLS Program is administered by the Council of American Overseas Research Centers and the American Councils for International Education.